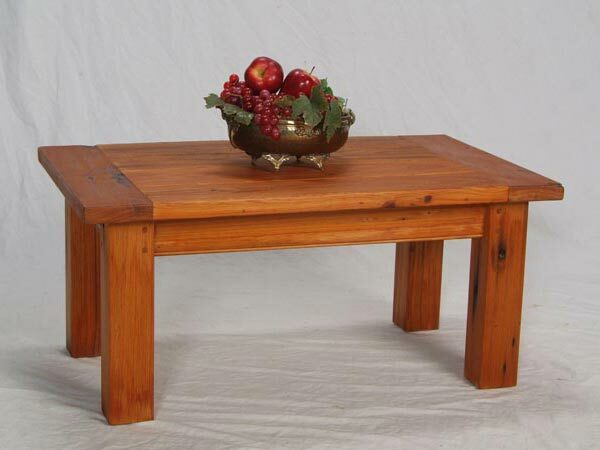 This 24" x 36" old-cypress cocktail table features a grooved top with bread board ends. A beaded edge dresses up the skirt, and the heavy legs gives you a masculine look. A good table to have in an informal setting. Don't baby this piece. Wear and tear only add to its "character." A nice addition to any setting. Custom sizes are available.